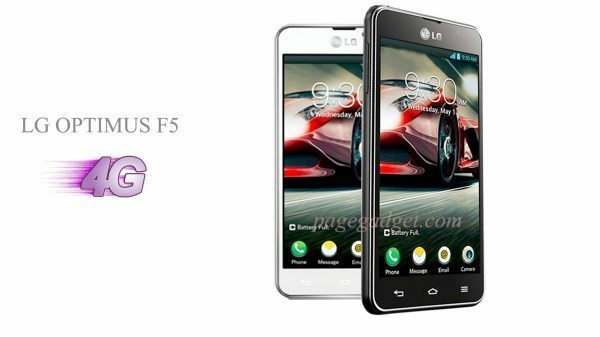 The LG Optimus F5 is a mid-range smartphone that we first brought you news of back in February. LG has now announced that the Optimus F5 will launch first in France on April 29, that’s tomorrow, with other regions to follow soon. The Optimus F5 is targeted at markets where LTE networks are now arriving and will also be released in regions including Central America, South America, parts of Asia and the Commonwealth of Independent States (CIS). Although there’s no sign that it is also heading to the US, recent rumors have suggested Verizon as a possible future carrier. A recap on specs reminds us that the LG Optimus F5 is powered by a 1.2GHz Qualcomm dual-core processor, has a 4.3-inch IPS display with 256 ppi, 1GB of RAM and 8GB of internal storage, expandable via microSD. It also has a 5-megapixel rear camera, 1.3-megapixel front-facing camera, 4G LTE connectivity, a 2150 mAh battery and runs the Android 4.1.2 Jelly Bean operating system. Dimensions are 126.04mm x 64.46mm x 9.30mm. Features for the Optimus F5 include QSlide allowing the opening of multiple apps simultaneously and Live Zooming on videos. There’s also VideoWiz enabling video editing directly from the device as well as QTranslator that uses the camera to scan text and translate it. LG’s press release makes no mention yet of pricing for the Optimus F5 but it won’t be too much longer before we will get a clearer idea on that. Are you interested in the LG Optimus F5 and hoping that it’s released in your region?